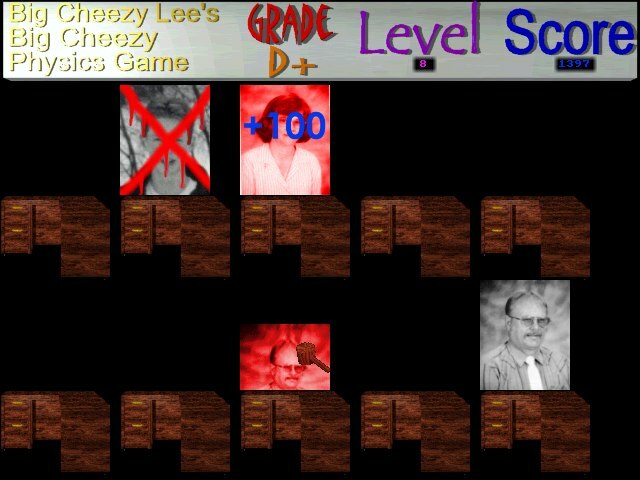 Basically, this game is a Wac-A-Mole game using my Physics teacher's face, Mr. Lee. 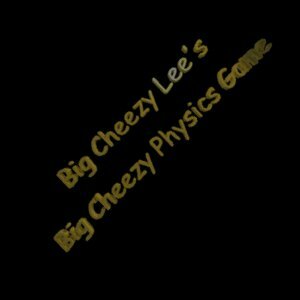 Hence where the name, "Big Cheezy Lee's Big Cheezy Physics Game" comes from. The object of the game is to hit down as many Lee's as possible. When you let him go, you lose a grade. When you get an 'F', you "Die". You start off at an 'A+'. If you hit a student, you lose a grade as well. Mrs. Steelman, my math teacher, is bonus points. Written in DJGPP, using Allegro for Truecolor Graphics Modes and MIDAS for Sound.